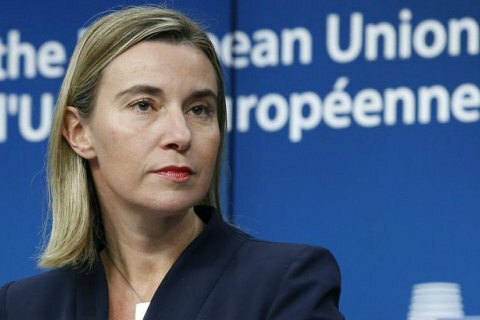 The EU has no plans to strengthen existing sanctions against Russia, the head of European diplomacy Federica Mogherini told a press conference in Brussels on 20 May. Mogherini said a meeting will take place in the coming weeks that will discuss the extension of existing sanctions. Mogherini also said she was going to initiate until the end of the year a discussion on the implementation of the Minsk agreements and further action in connection with the situation in the east of Ukraine. France and Germany as members of the so-called "Norman format" should state their stances on this issue, European Union foreign policy chief said. The current sanctions against the Russian Federation will expire on 31 July. The question of their extension will be discussed at the summit on 28-29 June. In May, the German Foreign Minister Frank-Walter Steinmeier said he expected difficulties in extending the Russia sanctions.